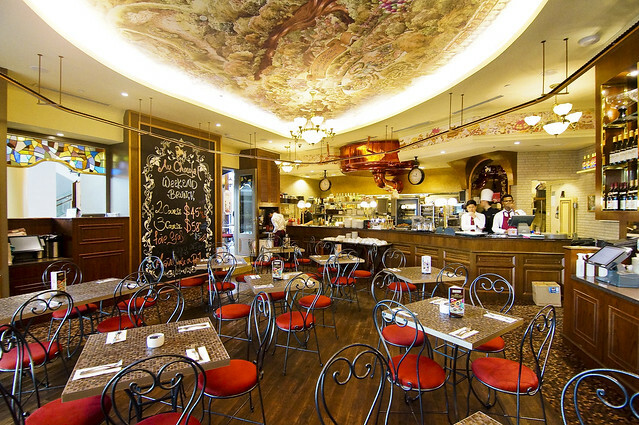 Au Chocolat (pronounced as “o sho koh lah”) is situated at MBS level one at the side that is very near to the Helix Bridge. 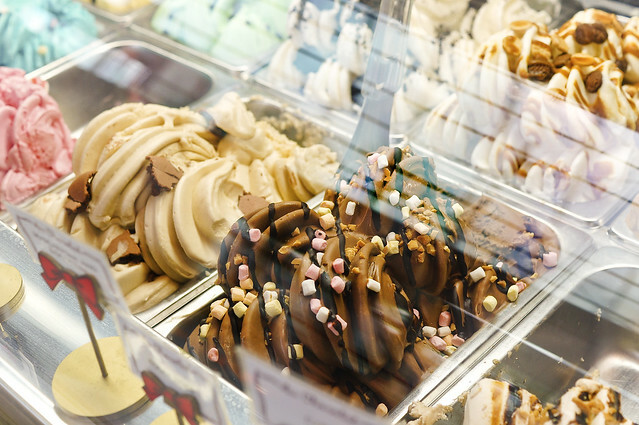 It spans itself over two units, the Confiserie sells pastries, ice-cream and desserts while the Bistro, is a seated restaurant that serves main course. The price range of their dishes is considered as higher than an ordinary restaurant but probably one of the most affordable in MBS. What exactly is a duck confit? Duck confit is a dish that is prepared by rubbing salt, pepper and other spices, wrapped and kept refrigerated for up to three days and this is known as the salt-curing process. The longer you place it in the fridge, the saltier it will become and the more it will absorb the herb and spices. The duck is then rinsed and poached slowly in the oven for generally from four to ten hours. One of their must-try. Many agreed that this is one of the best duck confit (pronounced as “con-fee”) that they had in Singapore. For myself, I love their crackling skin and i think the taste has a little resemblance to KFC chicken original recipe. The waitress actually gave me a heads up that this dish will be salty and jsut to ensure that I’m OK with it. I am rather satisfied that the duck remained tender despite the crispy exterior. It also comes with a mash potato side in chocolate sauce. I think not everyone can handle a orange chocolate sauce to go with a salty dish. Judge it for yourself. It’s pretty brilliant Imo. This dish also comes with slices of white wine poached pear. The only complain is for it’s small portion but it’s a no choice cus a duck can only grow so big as well as for their thigh. 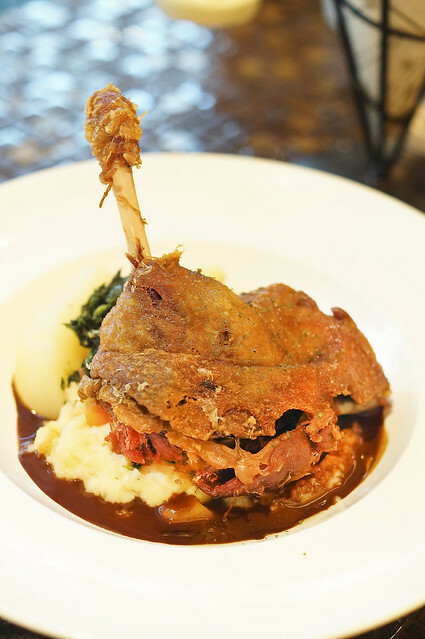 How about considering a duck confit two piece meal? Ahhhhh… Sweet mother of mercy. Just looking at the dish made me heavier by two kg! 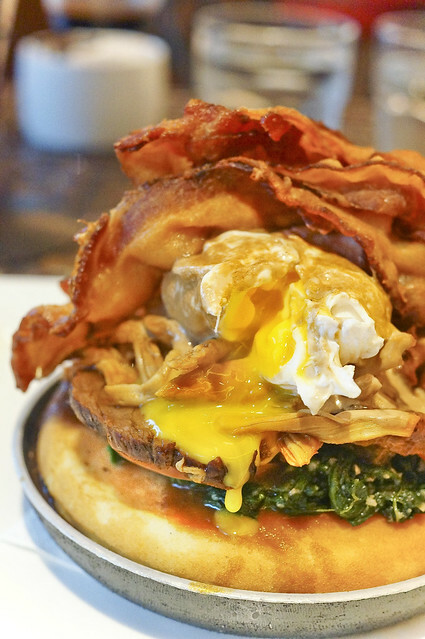 This dish is made up of roasted ribeye steak, crispy bacon strips, shredded chicken in cheese sauce (I think), sautéed spinach, two pancakes and two egg benny with their dark chocolate infused hollandaise sauce. It is a pity that the chocolate hollandaise sauce lacks a punch and in fact it taste rather bland. Among all the items, i like the shredded chicken best. As for the rest of the ingredients like the beef steak, bacon and pancake, they taste ordinary and tasted like what they should rightfully taste. Will I order this again? Maybe not in recent visit. Did I regret ordering this? Not exactly. It’s actually a decent dish but just that having this ultimate benedict together with the truffle fries should had depleted all my available calories for the entire day. Those who are into calorie tracking are already sweating for me. It’s not something to feast on on a regularly basis. 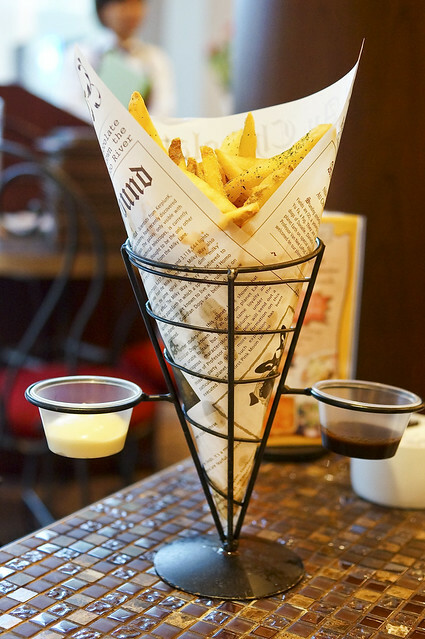 Some of us would have already heard of this “best truffle fries” from Au Chocolate. I was wondering what is so great about this truffle fries that everyone is shouting out for and the price is not even cheap. And I realised why. 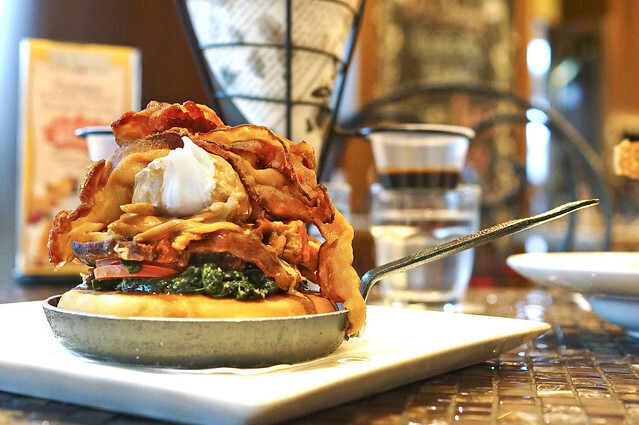 At $15.00, the portion is reasonably large and it’s good to be shared among four people. It’s sizzled with white truffle oil and seasoned with truffle sea salt and comes with a BBQ sauce and mayonnaise dip. I like Au Chocolat choice of a thick straight-cut instead of a thin one. As such, this fries were fried to a perfect crispness without losing it’s taste. I think it is not too exaggerating to say the this is the best fries that I had eaten. It is even able to retain it’s crispness even when it’s cold. The fries are really addictive and we finished the whole thing unknowingly. Bye bye to all my available calories. Overall i am quite satisfied with Au Chocolat. I did not try their dessert as i intend to pop by Lady M Confection that is just across the Helix Bridge. This meal cost me not more than S$80.00 which i think it’s reasonable for it’s quality and location. In my opinion, the Truffle Fries lived up to it’s online reputation as well as it’s Duck Confit. Didn’t have the intention to try their dessert on that day, so feel free to share if you had tried a very good dessert from Au Chocolat and think that it’s worth the try. I think i read quite a lot on their Choc-A-Bloc Tower Cake and the portion is really big! From the way i see it, it’s good to visit this place in a small group, like a group of four, so that we can get to share more dishes without stuffing yourself to death from the side dishes and desserts. 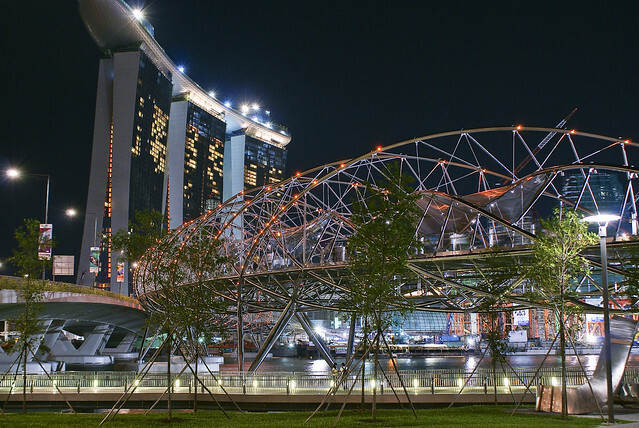 By the way, why not take a night stroll at our Singapore’s famous Helix Bridge after the hearty meal at MBS Au Chocolat?